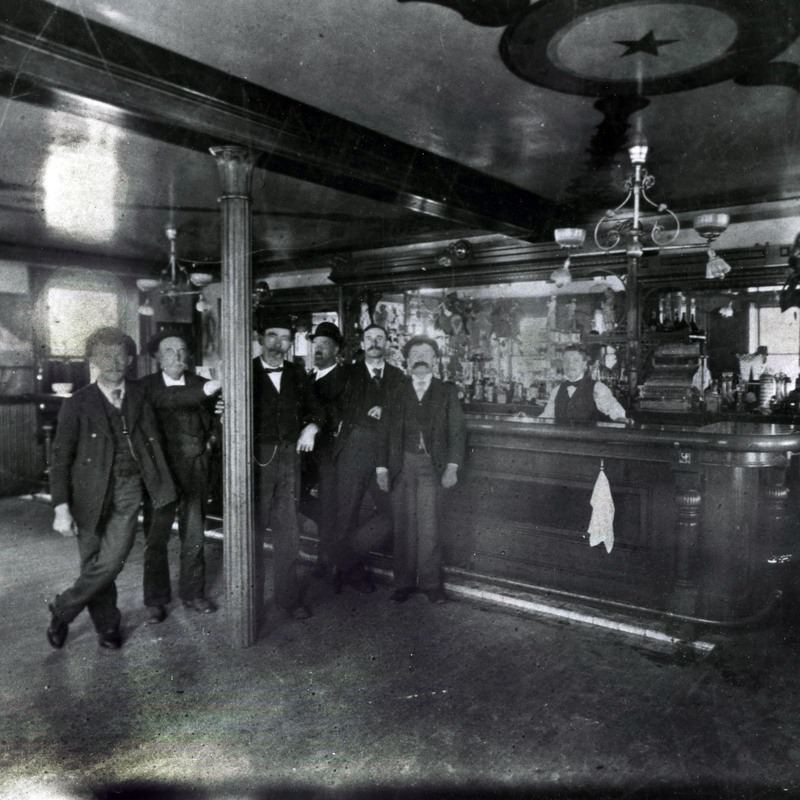 This establishment is one of the oldest inns in continuous operation in the country. The 1765 structure that is still visible today replaced the original ferry house which had opened at Bristol’s founding in 1681. The town council held some of its meetings here before there was a town hall. 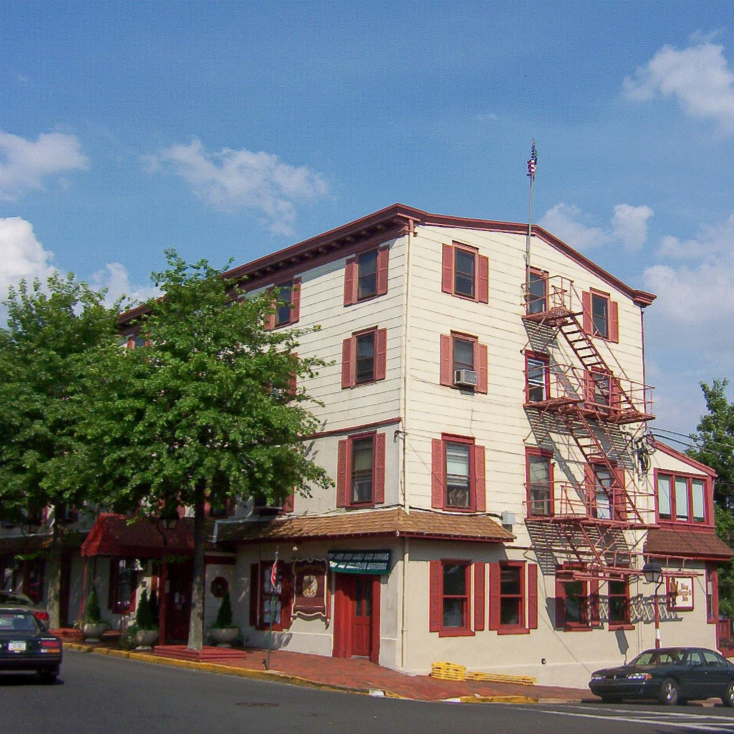 During the Revolutionary War, the Inn served as headquarters for General Cadwalader in December 1776, when he and 3,000 soldiers were stationed at Bristol to guard against British attacks along the river. It was here that Cadwalader prepared to assist General George Washington with his Christmas night attack on the Hessian soldiers at Trenton–an event now celebrated as the historic “Crossing of the Delaware”. Following the Revolutionary War, Bristol was the principal spa destination in America, made so by the Bath Springs just outside of town. Each summer, the King George II Inn was crowded with rich and distinguished guests from all parts of the nation and abroad. 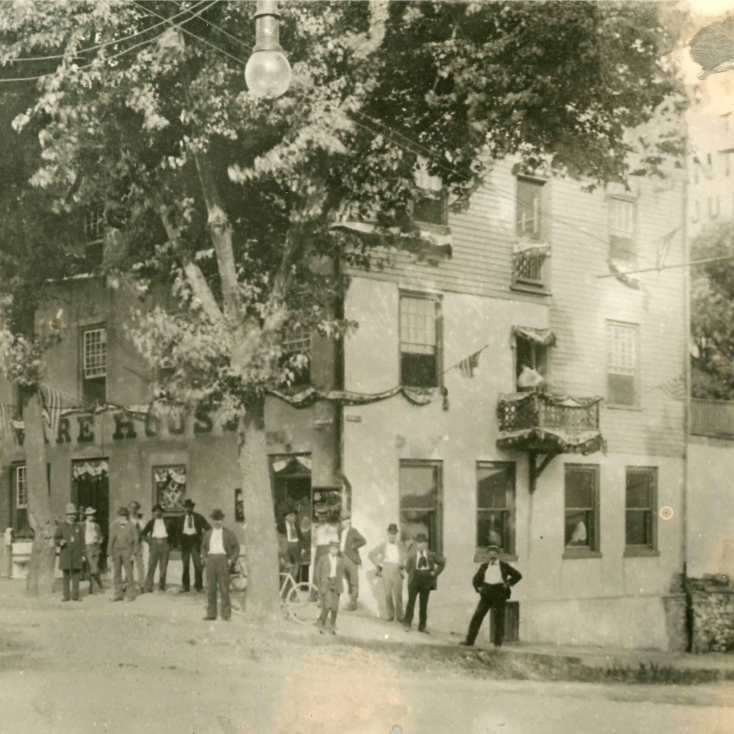 During the periods before and after the Revolution, the Inn had the reputation of being one of the best hotels between Philadelphia and New York City.